Whether you’re sprucing up your house to sell or simply looking for a color to bring out the beauty of your home, it’s imperative that you do your homework. 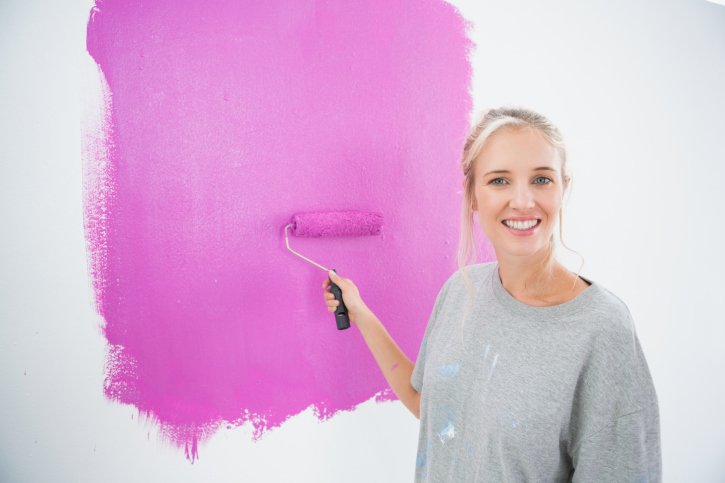 Before you head off to your local DIY store with a paint sample in one hand and a wallet in the other, you need to ensure that you’re picking the colors that are right for your home and your personality. It is true that you can never go wrong with a neutral, but you can also go so much more right with the correct color in the appropriate space, whether it’s a neutral or not. Blue is a great calming color and has even been known to lower blood pressure. When a person walks into a blue room they feel tranquil and at peace. Blue is also the color of trustworthiness and dependability, so if you are selling your home, or if you just want to make your guests feel welcome, put a blue paint color on the walls of your front hall or foyer. Red is a high-energy color and it has been proven to stimulate the appetite. This makes it a perfect color for a kitchen. An accent wall splashed with a deep, rich red can bring interest and vibrancy to an ordinary kitchen. Be sure not to overdo the red though; one wall or a back splash is enough to get the point across without becoming garish. Yellow is one of the most difficult colors to pull off correctly in a home. The light plays tricks with it, and what you thought was a sunny yellow in the store might become a sallow jaundice on a cloudy day. If you must paint with yellow keep it very pale and keep it in a less used room. It can be a soothing color but it’s best to leave it out of the main rooms. Green is said to be the most restful color on the eyes. Certainly, when we think of green, we think of the outdoors. Experts say the color green taps into our need for balance and makes us feel safe and at home. With all that going for it, the color green is an ideal choice for any room in your house; especially a master bedroom where the restfulness of the color invites you to climb into bed and have lovely dreams. Purple or violet is often a favorite color of children. As we grow older, we tend to forget about this under-used color. The truth is, however, it can be an absolutely stunning color in a family room or living room. Although we associate purple with children, a deep royal purple can give your room a regal look, which is perfect if you have high or vaulted ceilings. If you want to give your home a feeling of luxury with a bit of decadence, then violet or purple is the color for you. No matter what colors you choose in your home, if you’re looking to resell it’s a good idea to consult an expert to ensure that your colors are compatible with one another. There’s nothing worse than a house that has a chopped-up effect due to its rooms being painted a myriad of different colors.